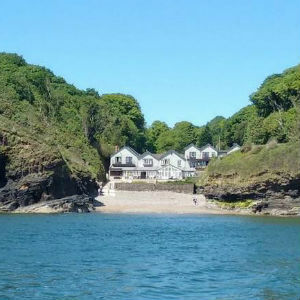 Pembrokeshire is not short of stylish self-catering accommodation so standards are high. Here’s one of the leading players. Family run to high professional standards, this beautiful house blends traditional with modern - and it’s the ideal base for exploring the beautiful Pembrokeshire Coast. Choose from 4 properties, each with unique features and bursting with character. LAST MINUTE EASTER ESCAPE. 10% off rental rates on all remaining cottages. Valid from March 18th - April 10th. Call 01834871583 or email [email protected] for details. An unexpected find - deluxe hotel-style accommodation based at a farm in the heart of rural Wales. Superb leisure club too, with 40ft indoor swimming pool. St Lawrence Country Guest House is set in its own beautiful 19-acre estate with south-facing views to the sea, Caldey Island and beyond. When we talk about a 'rare hideaway' we really do mean Rare, but Waterwynch is much more than just ‘rare’.